Adopting the idea of futuristic color, we create silver chess color. In a distance, this silver color looks dominant, but when you give a closer look, the purple color shines. This silver chess is so stylish and pretty. won’t satisfy to have it one. Decorate your house with different touch. Put this silver chess in your living room and make some different touch in your indoor area. You can also left it at your outdoor space, like at garden or backyard. 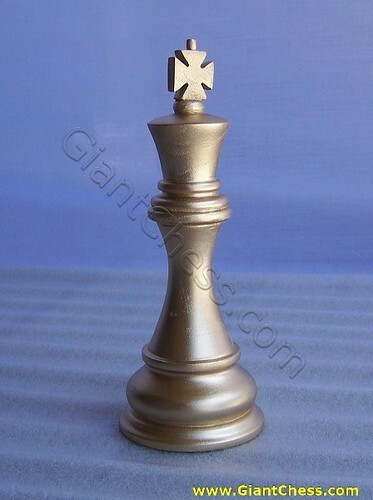 This chess piece has made from Teak wood, so it’s very durable for any seasons and weathers. If you want to dress your house with another chess color, we can make it. We have another color, such as; totally blue, white chess, yellow chess, black chess and many more.